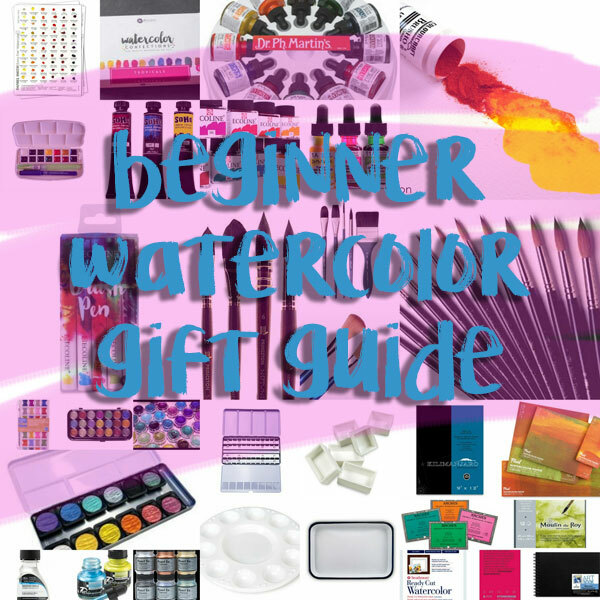 Recently I wrote a gift guide for young artists interested in watercolor. 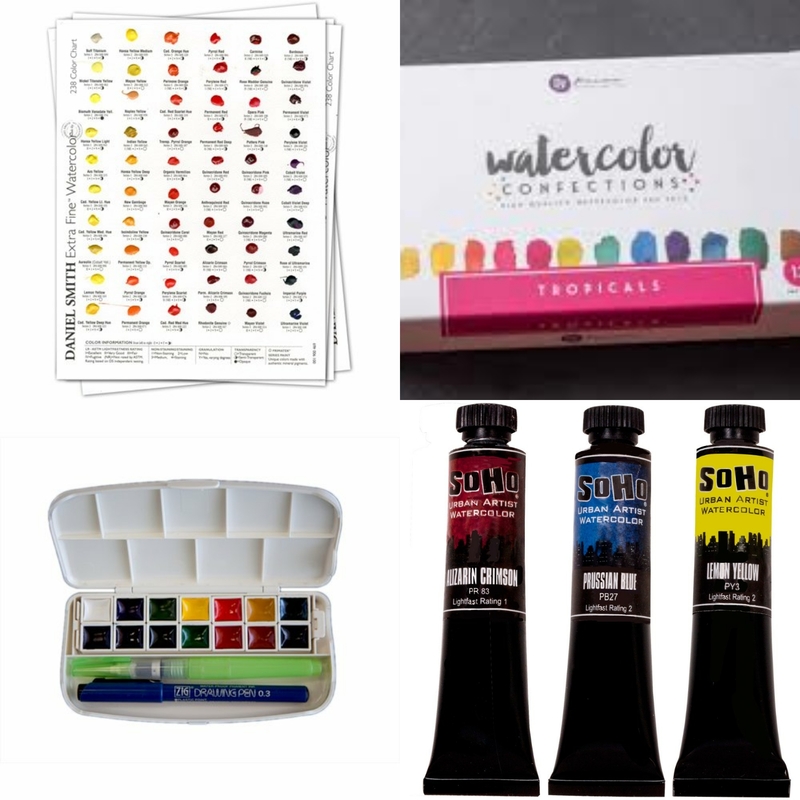 Over the years, I've gotten so many questions about watercolor supplies for beginning artists, and while I've answered most of those, I don't think I've ever really delved into it here on the blog. Whether for yourself, a friend, or a loved one this holiday season, I hope my art supply gift guides help you find products that will inspire and illuminate the year to come. 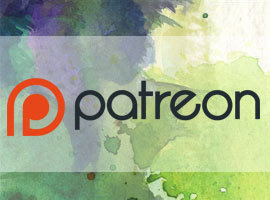 I want to encourage you to buy the best you can afford at the time, especially if you think watercolor is a media you're going to pursue as part of your commercial art or if you want your illustrations to stand the test of time. Cheap watercolors often utilize dyes, optical brighteners, or glycerin, which all shorten the lifespan of your art, and may make the media more difficult to use. 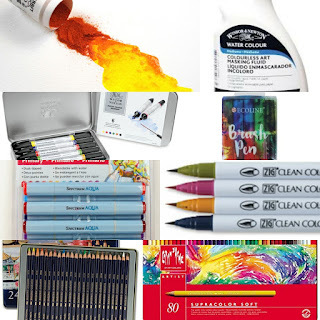 Both on this blog and on my Youtube channel, I regularly review inexpensive and cheap art supplies, so if you have any doubts, double check against my archives. For a personalized recommendation, feel free to email me. 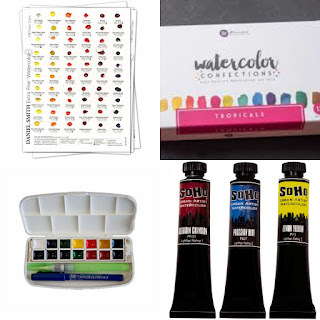 I go over basic terms and vocabulary briefly in my Watercolor Gift Guide for Young Artists (9-13), and in great detail in Watercolor Basics: Watercolor Terms You Should Know. 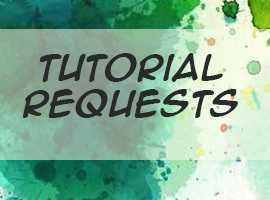 You can find an overview of the basic materials you'll need to get started (or to provide someone with a fresh start) in my Materials You'll Need to Get Started post. I know most beginner watercolorists start their journey at Michael's. Later in December, I'm going to do a specialized watercolor artist tour of Michaels, but for now, please enjoy this general artist Michaels Tour. A warning- super cheap watercolors (like Crayola) contain dye, which isn't lightfast, and glycerin, which yellows over time, making those doubly not archival. 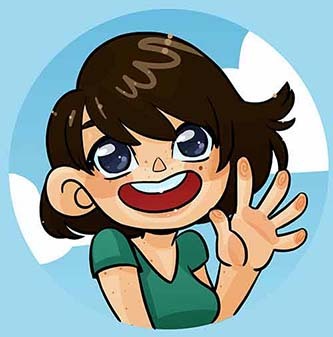 Please do not use these for commission or paid work. Cheap watercolors such as Artist Loft make heavy use of optical brighteners for color intensity. These layer poorly, turn muddy quickly, and will flake off your paper's surface. Prima makes multiple palette collections, but Tropicals is my favorite selection of the bunch. Tropicals features a very usable selection of colors. The prices for Prima Marketing Watercolor Confections vary on Amazon, so don't pay more than $20 for the paints and palette. 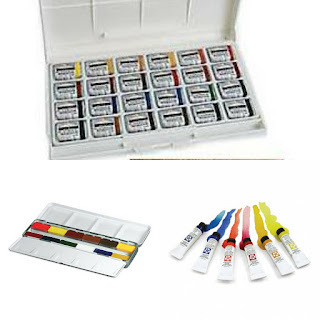 This 12 color sketcher's set is perfect for travel, or artists who are just starting out with watercolor. The colors are saturated and quick to activate, making it great for on the go painting. Not just for travel! 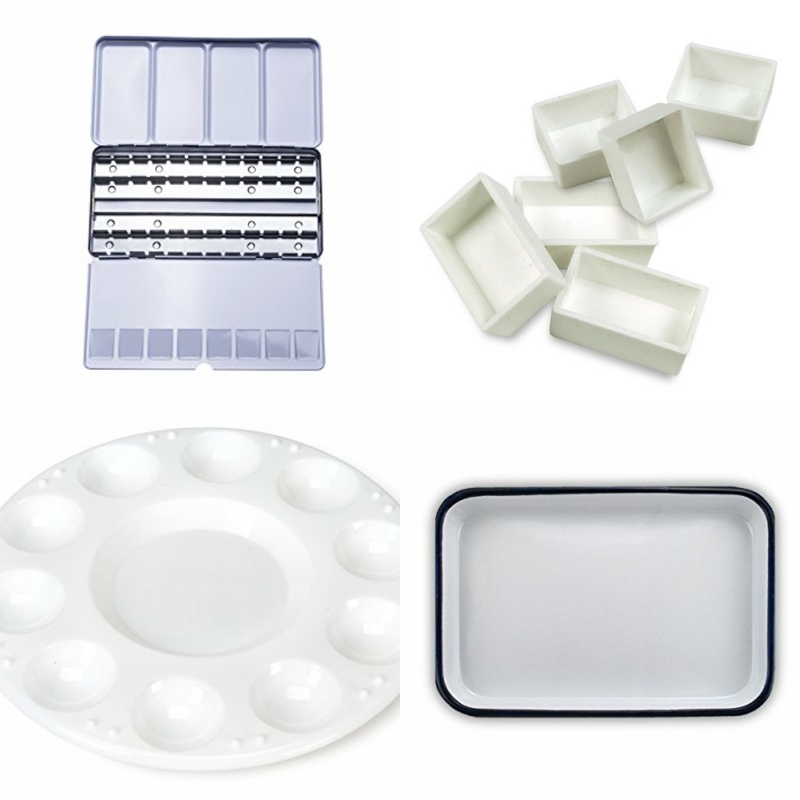 Compact sets like these are perfect for beginner watercolor artists, and provide a wonderful opportunity to learn color theory and color mixing. 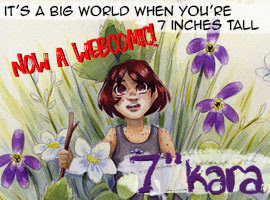 Although I don't have a review prepared for these tube watercolors, I've used them in my watercolors and on my 7" Kara comic pages for years now. There have been claims that these are not fully lightfast, and while I don't have the machinery to test whether these watercolors will last 100 years, I have done a bit of lightfast testing within my grasp (swatches in a sunny window, left for about a year), and find them quite suitable for my needs. Some colors perform better than others, the only one I would outright avoid is Ultramarine Blue. Great if you want bright, intense, synthetic color. 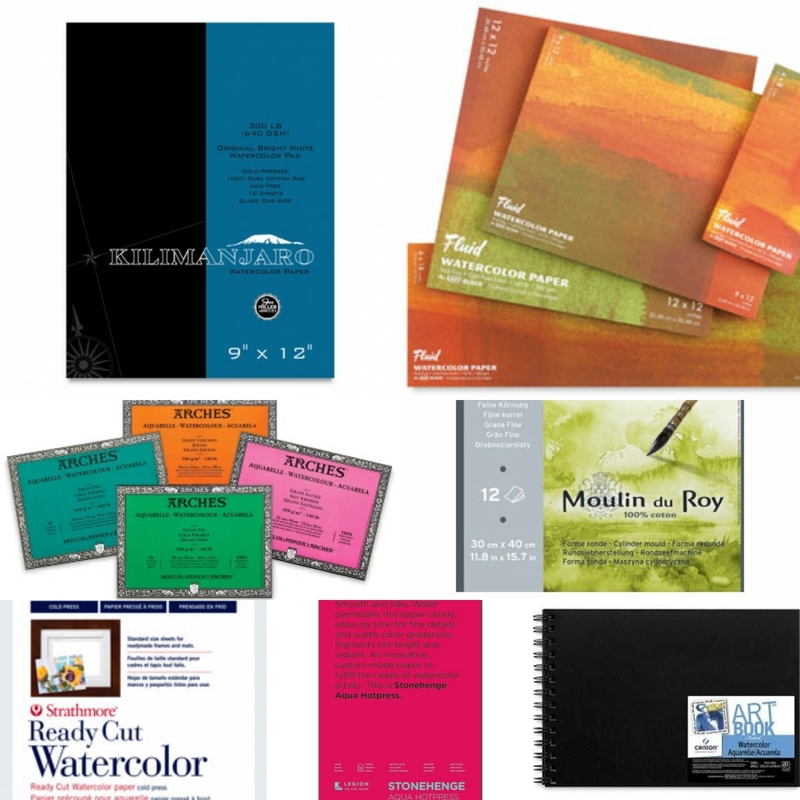 In general, Blick's store brand produces high quality artist materials at a lower price. The Blick watercolors are excellent beginner tube watercolors, and can be squeezed into pans or a palette and reconstituted with water. The storebrand for Cheap Joe's. 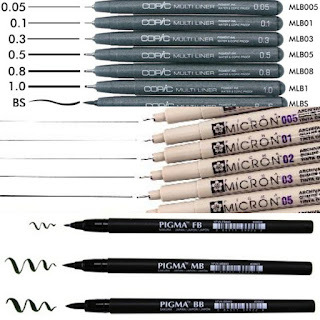 I don't have much experience with these, but other watercolorists say they perform well. Although I've warned artists off Cotman pan watercolors in the past, I find their tube watercolors to be quite acceptable, and very affordable. Blick sells Cotman watercolors openstock. Although I've never reviewed Winsor and Newton Professional Artist Watercolors as a stand alone product, I regularly use the semi moist half pans to paint illustrations and 7" Kara pages. While Winsor and Newton isn't for everyone, I've been satisfied with their performance over the years. Winsor and Newton half pan watercolors are available open stock, so as you run out of colors, you can easily replace them. When I first begain painting 7" Kara, I used a 24 set of Winsor and Newton watercolors, and a 24 set of Yarka St Petersburg watercolors. My Yarkas are still stashed away somewhere. Da Vinci were recommended by Kabocha, who says they perform as well as Daniel Smith. Holbein is an excellent brand, and while I don't have this particular set, I have many tubes of Holbein's Irodori line. 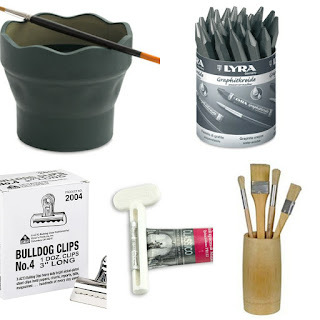 These paints perform well, and reactivate from pans well. A recommendation from Kabocha! 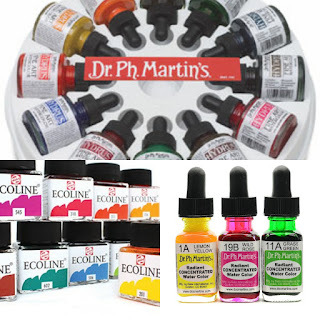 She says they're about on par with Daniel Smith watercolors, so I'll have to get my hands on a few tubes to try out. Includes waterbrushes and water bottle, all in a compact, pocket set! A perfect micro introduction to watercolor- just add a block of watercolor paper! 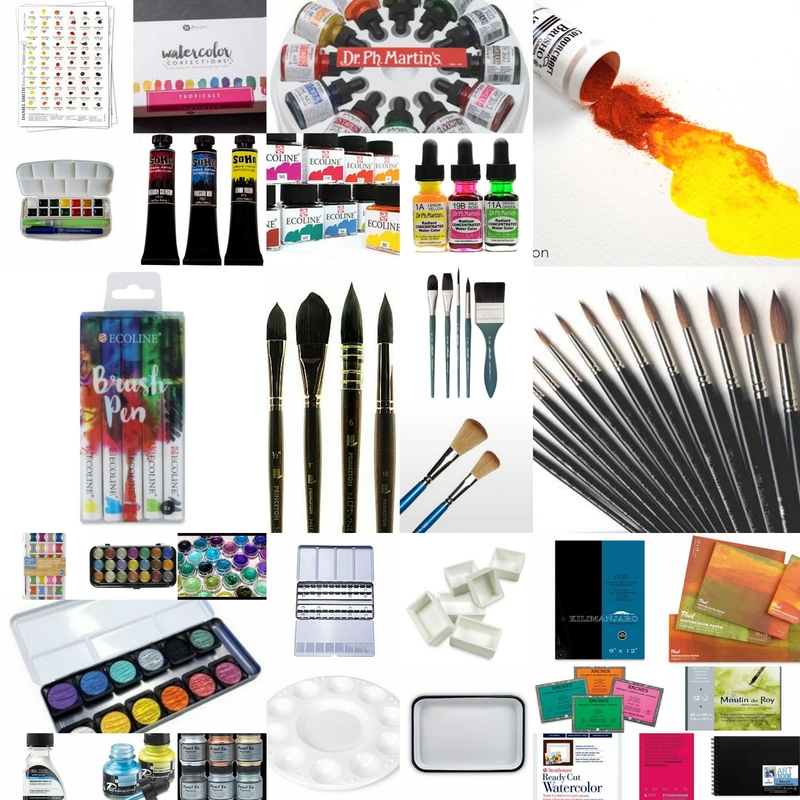 Includes waterbrushes, palette, etegami postcards, and more! Everything you need to begin etegami watercolor. This was my first serious set, and the basis for my current palette! Gansai Tambi watercolors are highly praised in the craft world, and not without good reason. Inexpensive, huge pans of paint, Gansai Tambi seem like a perfect solution to expensive watercolor palettes. Keep in mind that gansai tambi watercolors do not handle like Western watercolors, and utilize a different type of binder. The end result is glossy, saturated color- great if you work with a minimum of layers, or want intense color immediately. Gansai Tambi watercolors are frequently used for etegami postcards. Dye Based. Can be used to refill Ecoline watercolor markers. Does not come with eyedropper. Dye Based. Comes with an eyedropper. Just about everything Crayola, at least when it comes to watercolor. Brusho is dye based, powdered crystal watercolor that explodes once it hits water. I love using Brusho, but keep in mind that since it's dye based, it is not lightfast or archival. These have quite a bit of color to them, and are great for glazing over existing color if you want a little shimmer. I love these, and have a few different sets- the pearlesents, the iridescents, and a few of the metallics. Great coverage and loads of sparkle without appearing glittery. This can be added to your watercolor mixes for custom iridescence. I love using these acrylic inks to ink watercolor pieces, or for splatter effects. Available in brilliant colors including neons and interference colors. 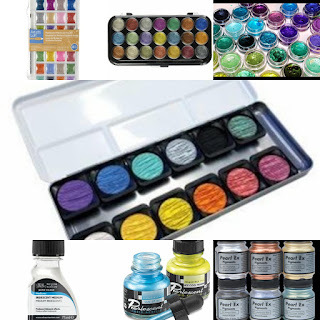 This can be mixed in with your existing watercolor, or add a little water and paint with them. Includes paper, brushes, and more, all in a carrying case. Dye-based watercolor markers will be more water reactive than pigment based markers, and are very likely to reactivate when water (or further layers) are introduced. These might be my favorite of the bunch- they're definitely the most versatile. Used on their own as waterbased markers or with water for watercolor effects, they're inexpensive, available in a huge range of colors, and the real brush is gentle on paper. I use both of these brands frequently on 7" Kara comig pages. They're some of the best water reactive pencils I've used. Don't mistake Derwent Inktense for Derwent watercolor pencils- Inktense pencils are indelible once wet, but deliver loads of vibrant color. This is the brand I use and have had best results with. This is the brand Kabocha uses and has had the best results with. With paints, especially pick and mix sets, you need palettes! 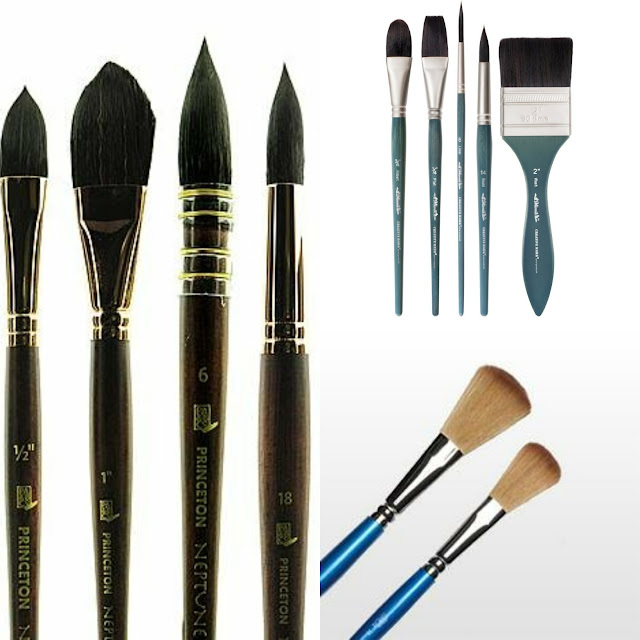 When buying brushes, I recommend you buy your larger, more expensive brushes in synthetics, which are very affordable. 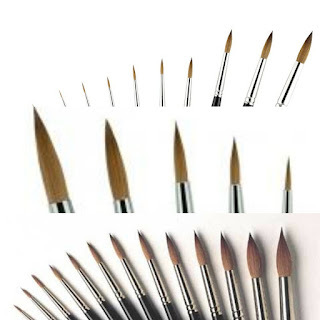 From size 8 up, synthetics are a great way to have a variety of brush sizes without breaking the bank. Squirrel is an excellent natural fiber that has a large belly (useful for holding water and paint without it dripping all over your paper), but not quite as much snap as synthetics or Kolinsky. Squirrel is great for midsized brushes- 6, 8. Kolinsky sable is considered to be the highest quality material for watercolor brushes, and it's well worth investing in a few carefully chosen brushes. I find Kolinsky sable to be excellent for fine details- as the fibers hold lots of water and the brush is capable of snap. 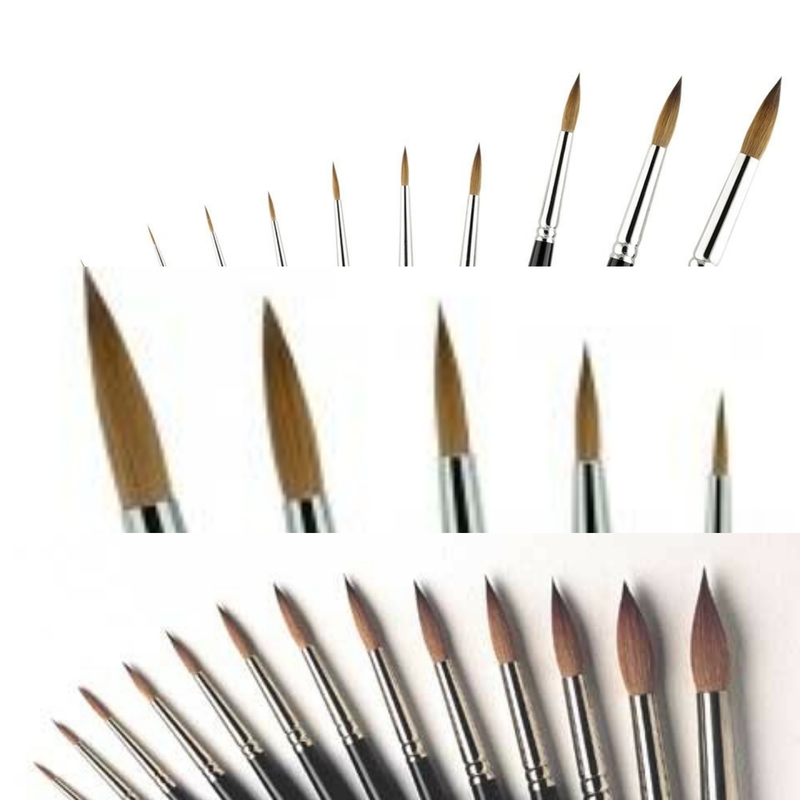 Kolinsky can be quite expensive, so I recommend using it for your smaller, detail brushes. These are my mainstays- affordable, accessible, and perform quite well if properly cared for. Decently heavyweight paper that shouldn't buckle or cockle when stretched. Heavyweight paper (almost a board) that generally does not need to be stretched. Thanks to Kabocha for the hot press recommendations! Someone just starting out is going to need a lot of basics! These three brushpens provide a variety of lineweights and are alcohol marker and waterproof. I use these in many of my videos! My go to for so many of my projects! Soft graphite sticks are great for graphite transfers- a useful technique for transferring illustrations onto your watercolor blocks. You can really use any, but I particularly like these collapsable cups by Faber Castell. I recommend two dedicated watercolor cups- one for clean, one for dirty. Any paper towels will work, but I really love Viva paper towels, especially the ones with no texture. I use this to serve as a support for my stretched watercolor pages. I prefer the 3M blue crepe masking tape linked above- it adheres to the page without tearing the paper on removal. I use binder and bulldog clips to help secure my paper to the board when stretching watercolor paper. Tiered plastic tackleboxes are great storage for watercolor tubes, unopened pans, empty half pans, and other small accessories.